How Contagious Is Feline Infectious Peritonitis? Would a cat in end-stage feline infectious peritonitis disease (FIP) be a danger to his feline housemates, since most cats are already exposed to feline coronavirus (which mutates into the fatal FIP only 5 to 10 percent of the time)? Or does the end-stage cat shed a more potent version of the virus? 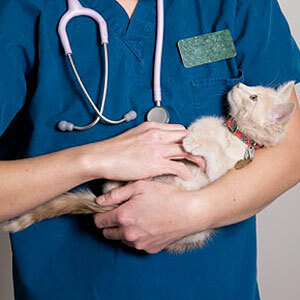 FIP is perhaps the most dreaded disease in all of veterinary medicine. It is also very poorly understood. The current thinking is that it occurs when feline coronavirus, which is ubiquitous and relatively harmless, mutates inside a cat into a new, deadly type of coronavirus. In its most common form, it causes effusions into the abdomen or other parts of the body; the affected cat’s appetite decreases, its weight drops, and it dies. Treatment options are extremely limited and mostly experimental at this point. FIP most frequently strikes down young cats. Although the I in FIP stands for infectious, the syndrome usually does not spread from one cat to another. This is because cats who have been exposed to the benign form of coronavirus (which is basically all cats) will be immune to the more deadly virus. Experts believe that almost all cases of FIP occur as new mutations of the benign virus in individual cats. However, I am sorry to say that I have seen the syndrome spread among cats living in a single household, although it does not happen often. FIP also is much more common in multiple-cat households than it is in households with only one or two cats (which has led some experts to hypothesize that stress is a key factor in the development of the disease). I generally recommend that people who have lost cats to FIP adopt only mature cats in the future, since they appear resistant to the disease. To go to your question directly, Mrs. Kitty: I have seen no evidence that aggressive end-stage FIP is more contagious than other varieties of the syndrome. But it is so poorly understood that nobody truly knows for sure.